Microsoft CRM 2011 supports basic email capabilities that allow sending of bulk emails to customers and prospects. However, if you want to track the receipts/bounces/clicks on those emails or want a tool for creating rich HTML emails or Landing Pages you will need to pick up one of the many 3rd party products that have been integrated into MSCRM. Ok, lets start with a quick run through on the sort of functionality that is available to you! 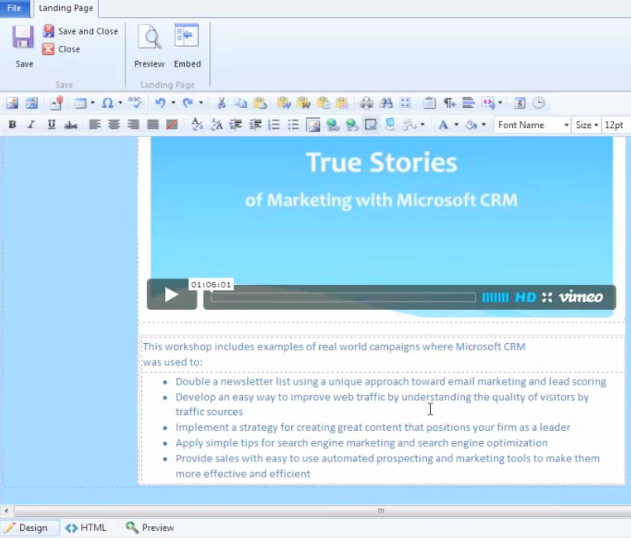 Design high quality emails incorporating images, links, text and dynamic content from MSCRM. A point and click designer experience plus support for direct HTML entry. Gain insight on how many of your email recipients opened the email, how many clicked a link, and how many of those emails bounced. Learn who is opening your email and when. Learn which links are being clicked and how many links each recipient is clicking. View against CRM customer record not only what emails have been sent but which of those emails did they open and what links did they click. Plus support for opt out tracking and enforcement. 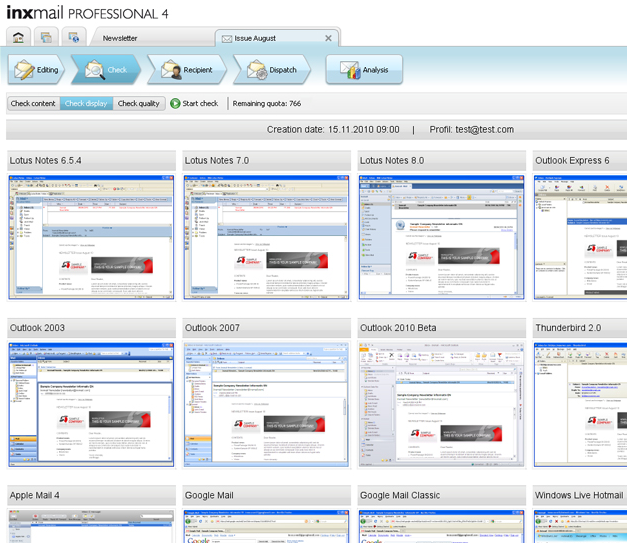 Preview your email in a number of email clients, including Outlook, Gmail, Hotmail, and iPhone. Address any formatting issues to ensure the maximum impact of your email regardless of where your customer opens it. 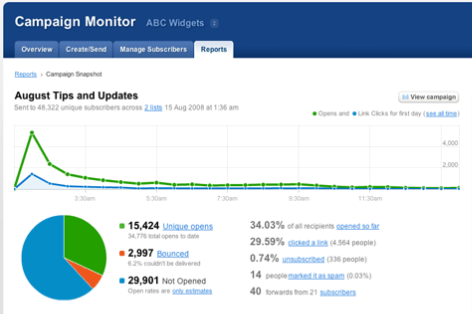 View site visits, link clicks, and referral information on how visitors came to your website. Where the visitor has identified themselves on your website and they exist in your CRM see all of that history associated to their CRM record. See anonymous visitors associated to Organisations based on IP address and view how many visitors from that company are viewing your site and learn what they are looking at. Design and build the campaign landing pages that you direct customers and prospects to in your email campaigns. Use a Word style format editor or copy and paste in raw HTML. Configure forms and embed those into your website and have the data captured written directly into MSCRM. Exact Target is the big daddy of email marketing, they do it all, and they work with all the big CRM applications. Their pricing is at the top of the end of the scale. Their integration to Microsoft CRM is mature. The selection of your target list and then send of the email can be executed from within Microsoft CRM. The design of the email and landing page are performed in ExactTarget but can merge data from CRM and conditional content rules can refer to CRM segmentation information. If highly personalised email campaigns are your thing or you are after an enterprise level solution then Exact Target is for you. 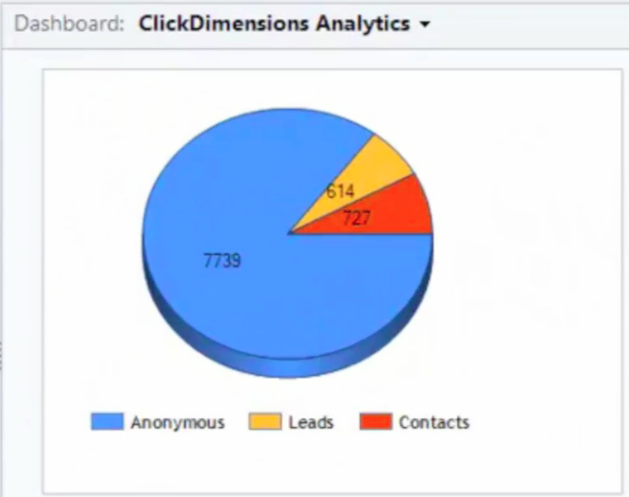 Click Dimensions is a specialist email marketing product for Microsoft CRM. They seem to be quite popular in the US, at least amongst my company. They look to be the most integrated into Microsoft CRM (I don’t think you can use their product without MSCRM). I expect Exact Target beats them on overall product functionality, although Click Dimensions looks to pack a lot of capability and there ease of use looks excellent and I suspect they may have a couple of MSCRM specific features that Exact Target is missing. I would have Click Dimensions on my short list and be looking hard for a reason why to go with something else. CoreMotives is another email marketing add-on that is dedicated to Microsoft CRM. It appears to cover the same areas as Click Dimensions but I suspect it is the inferior product. Check out both companies’ websites and you will see what I mean. On the surface I would prefer to use Click Dimensions, but maybe there is a feature difference or a price difference that’s in CoreMotives favour. Inxmail are a big player in Europe and have 1000 customers worldwide. They provide an email designer, inbox testing, landing page designer, email delivery, and integration to several CRM systems, including Microsoft CRM. Their product is not as tightly integrated to MSCRM as the above offerings but it does have a bunch of functionality. I was disappointed that they could not arrange a trial with my CRM system. Campaign Monitor is aimed at designers. 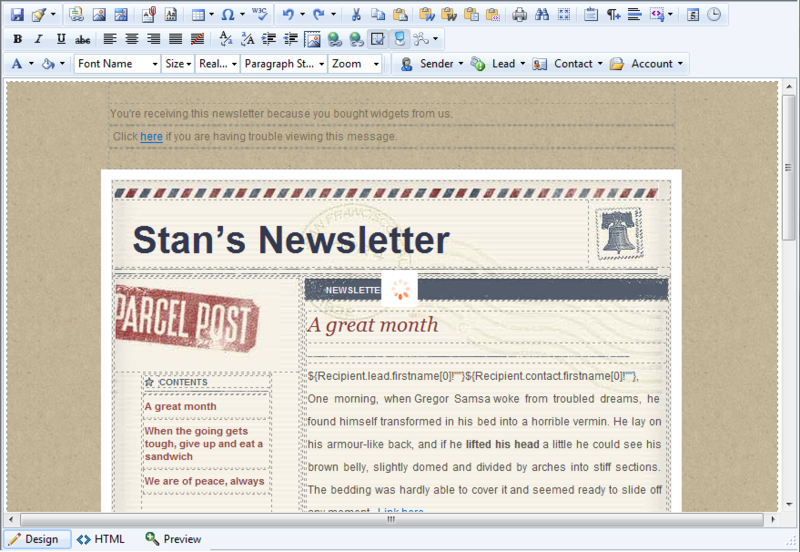 Designers can either construct their emails externally or use Campaign Monitor’s authoring tool. Campaign Monitor supports email format testing across a range of email clients, email delivery, and email tracking. It doesn’t appear to support landing page generation or dynamic content. Their MSCRM integration is a via a 3rd party and doesn’t look very mature. 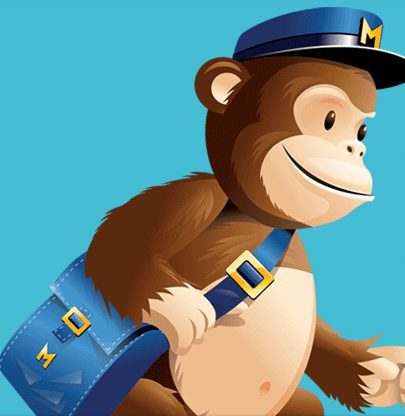 I love Mail Chimp! It is just the coolest little web app ever. It’s suited more to the mid market and small business but it could not be easier or more fun to use, yet still offers a bunch of functionality. BizMiners have developed integration between Microsoft CRM and Mail Chimp, but being a 3rd party integration its an inferior experience to the likes of CoreMotives and Click Dimensions. If you want something simple, easy and cheap then this may be the answer. If I have missed a product that you think should be here or you think there is a key differentiator I need to call out just let me know. This entry was posted in Uncategorized and tagged Click Dimensions, CRM 2011, email, Exact Target, Inxmail, Marketing on April 17, 2012 by Gareth Tucker.